One of the most important aspects of conservation education is evaluation. Evaluation can be in many forms such as needs assessments or exhibition evaluations. It can also be used to gauge things such as the effectiveness of informal education or education techniques. Below are several articles on evaluation and how to assess a program’s conservation impact. The internet is gaining importance in global wildlife trade and changing perceptions of threatened species. There is little data available to examine the impact that popular Web 2.0 sites play on public perceptions of threatened species. YouTube videos portraying wildlife allow us to quantify these perceptions. Having an accurate understanding of the role of media in children’s lives is essential for all of those concerned about promoting healthy child development: parents, educators, pediatricians, public health advocates, and policymakers, to name just a few. The purpose of this study is to provide publicly accessible, reliable data about media use among children ages 0 to 8, to help inform the efforts of all of those who are working to improve children’s lives. The mission of the Monterey Bay Aquarium is to inspire conservation of the oceans. From 2006 to 2008, Aquarium staff members and consultants conducted a series of qualitative and quantitative studies to assess the extent to which visiting the Aquarium engaged, inspired and empowered visitors to care about and for the oceans. The August newsletter is dedicated to evaluation; which is a topic that stirs a variety of emotions from fear, doubt, inspiration, and motivation. The World Association of Zoos and Aquariums in partnership with the International Zoo Educators Association conducted a survey to to determine whether and to what extent institutions were using biodiversity-┬¡related educational materials. This is an overview of most existing publications on visitor studies and exhibit evaluation that have been performed in zoos and aquariums. To find out if zoos and aquariums successfully promote conservation, the Association of Zoos and Aquariums (AZA) formed strategic partnerships and undertook a three-year, nationwide study of the impacts of a visit to a zoo or aquarium. We found that going to AZA-accredited zoos and aquariums in North America does have a measurable impact on the conservation attitudes and understanding of adult visitors. This is a product of the Multi-Institutional Visitor Research Project which was commissioned by the Conservation Education Committee of the Association of Zoos and Aquariums (AZA). The project seeks to investigate the overall impact of visits to zoos and aquariums on visitors’ conservation-related knowledge, attitudes, effect, and behavior, through comprehensive research at representative zoos and aquariums through the United States. Here are the results of a survey designed to learn more about the practices of zoo and aquarium educators in regards to field trips. This study delves into the perceptions from zoo and aquarium educators, classroom teachers and chaperones surrounding a field trip. 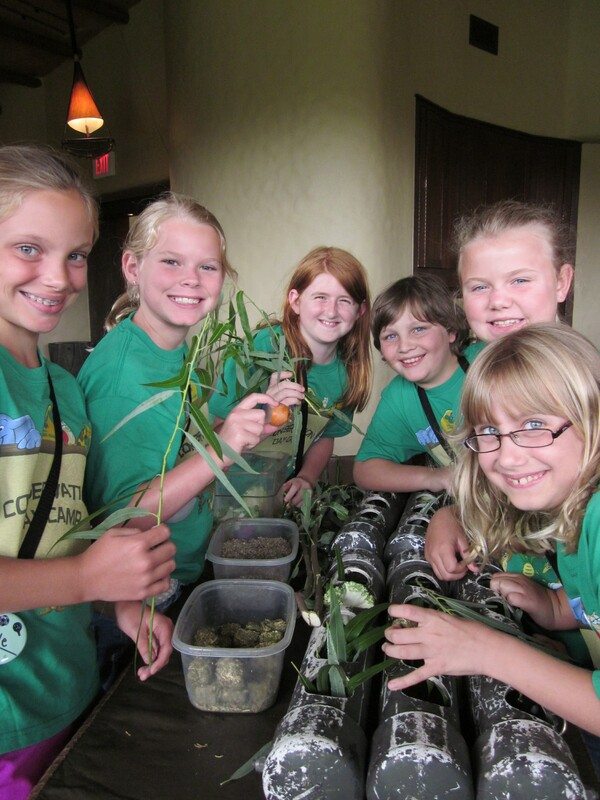 A study was conducted across zoos and aquariums to develop best practices for field trips. Aspects of the field trips that were considered were preworkshops for the teachers, activities during the field trips such as worksheets and keeper/educator talks and ways to incorporate field trip material into postwork conducted at the schools. In the National Association for Interpretation’s 2009 Journal of Interpretation Research, John Fraser, Jessica Bicknell, Jessica Sickler, and Anthony Taylor explore the topic of identification labels in zoos and aquariums. A multi-institutional study of three zoos and two aquariums was conducted to see what information visitors found to be the most interesting or important. Overall, odd facts/behaviors, endangered status of the animal, habitat and life span top the list of most useful information. Natura 2000 is a collection of protected natural land in Europe which includes privately owned land. This complex system provided the Artis Royal Zoo Amsterdam and Dutch Ministry of Agriculture, Nature and Food Quality an unique task of both promoting these areas and increasing awareness of European wildlife. This project was evaluated over a two-year period and shows that zoo visitors do value the project and conservation initiative. Just Kid Inc. recently conducted a study on the child altruism movement. This study shows that children are more likely to buy products when the proceeds support environmental causes about which they feel strongly. While children feel that everyone, themselves included, are responsible for protecting the environment, they are frustrated with the lack of child-centric programs and are looking towards adults and larger companies for ideas and opportunities. The Johannesburg Zoo conducted a survey of Grade 7 students in South Africa to discover their attitudes towards frogs. The survey measured basic frog knowledge and attitudes by asking questions about touching frogs and frogs as pets. This information will be contributed to the “2008: Year of the Frog” global awareness campaign. Zoo Atlanta conducted a study measuring the effects of having an interpreter present during training sessions of the Asian small-clawed otters. The findings suggest that public animal training sessions and those training sessions conducted with an interpreter produce more positive zoo experiences, training perceptions and longer visitor exhibit stay times than compared to passive exhibit viewing and interpretation-only sessions. Informal settings such as museums offer untapped potential for communicating social, cultural and scientific information, correcting misconceptions and improving attitudes and cognitive skills. This article, written by C.G. Screven, offers guidelines on thinking about museums as learning environments. Diamond, J. (1999). Practical Evaluation Guide : Tools for Museums and Other Informal Educational Settings (American Association for State and Local History Book Series). Calif: Altamira Press.